The Ballon bleu that Cartier only launched almost eight years ago, is one of Cartier’s newest models and the one that actually became a huge success worldwide, in a very short time. 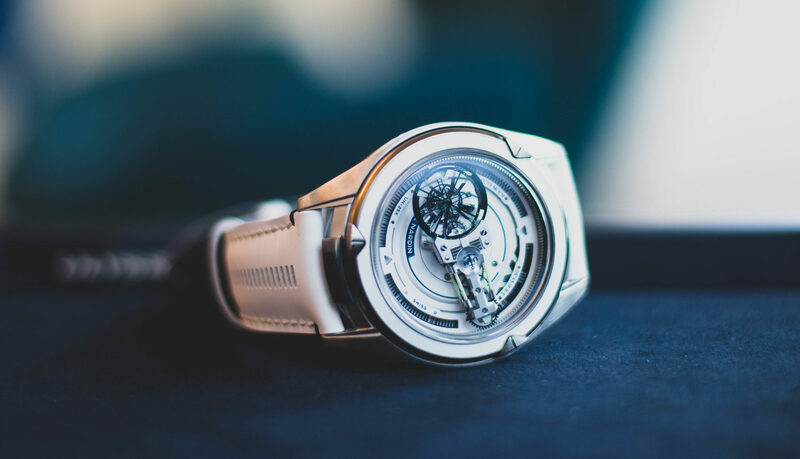 Presented as a unisex model, with some really masculine pieces like the Chronograph and the Tourbillon models too, the Ballon bleu was from the beginning in particular embraced by the female clientele of La Maison. One would think that the smaller models would be the main choice of the female crowd, but even the 42mm, was especially during the first years, often seen on the wrist of fashionable ladies. From a design point of view the Ballon Bleu is actually the best and most successful unisex models since a long time, since most sizes from 36mm to 47mm are worn by- and look good on men and women. Since we’re heading for Christmas time, New year and Chinese New Year, it is a good moment to high light a few ladies models with diamonds, that would bring every woman in ecstasy. 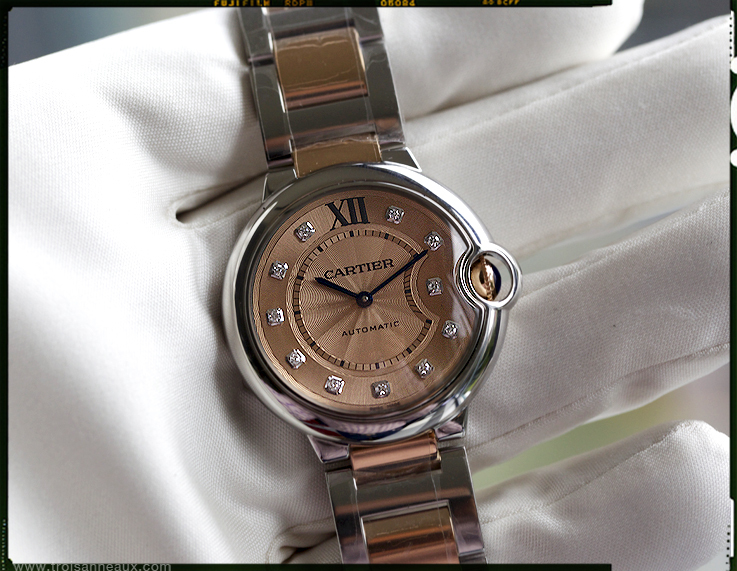 Don’t shy away from the idea of a diamond watch, since Cartier came up with a quite affordable solution! 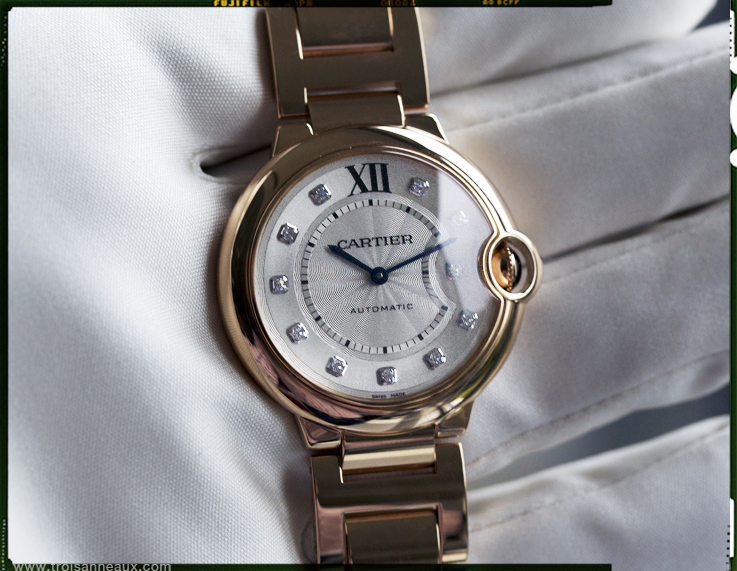 Cartier is known for the fact that diamonds are never set in steel, but always in gold or in platinum. 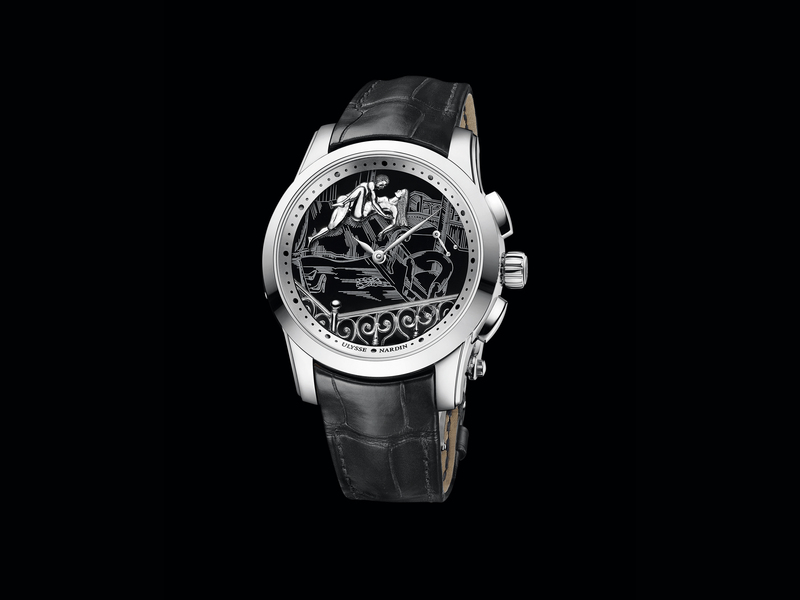 This is a policy La Maison has, since the creation of its first diamond set watch. 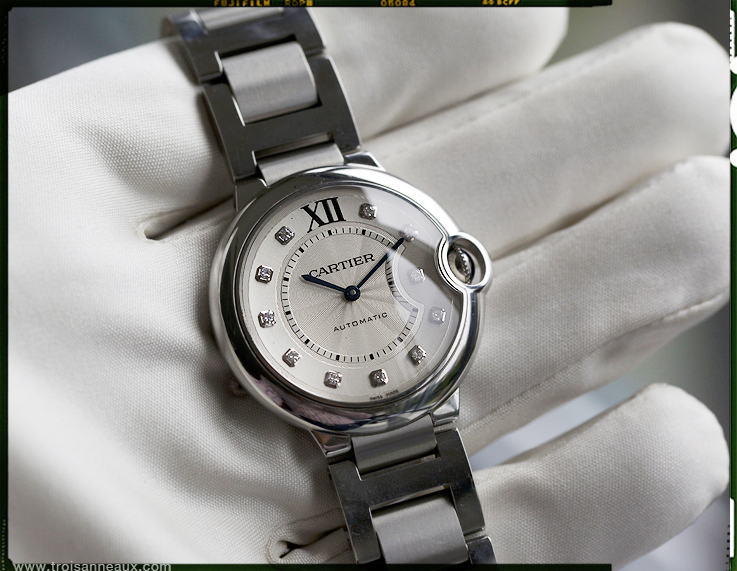 So should you ever see a Cartier steel model set with diamonds on the case; stay away! However and that pleased me a lot, the collection got some really nice and feminine Ballon bleu models in steel, with diamonds on the dial. A very attractive and superb model to wear as a daily watch, is the all steel version, with a good water resistant, 11 diamonds on the dial, sword-shaped blued-steel hands and a mechanical automatic caliber. A step up is the pink gold and steel Ballon bleu model, with (like all models) “fluted crown set with a sapphire cabochon sapphire crystal and gorgeous 12-zone flinqué dial in a copper/salmon kinda color. Salmon colored dials are rare in the collection and only once in a while, we see this color popping up and mostly as a limited edition. In all gold, the Ballon bleu becomes more chic and less sporty. Gorgeous rich watch due to the fact that the designers chose pink gold. Pink gives a nice warmer tone than classic yellow gold. In almost eight years time, the Ballon bleu collection has become a really impressive series of models. Making the perfect choice for her, may for sure give some headaches, since there are more than sixty models to choose from, ranging from the very cute 28mm to the large 47mm Ballon bleu extra flat.